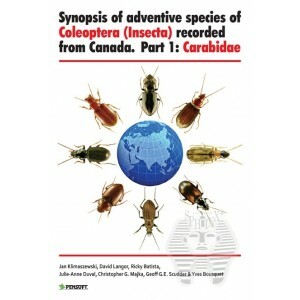 Klimaszewski J., 2012: Synopsis of adventive species of Coleoptera (Insecta) recorded from Canada. Part 1: Carabidae - ENTO SPHINX s.r.o. Klimaszewski J., Langor D., Batista R., Duval, J.-A., Majka Ch. G., Scudder G. G. E., Bousquet Y. The first synopsis of adventive species of Carabidae (Coleoptera) recorded from Canada is provided. 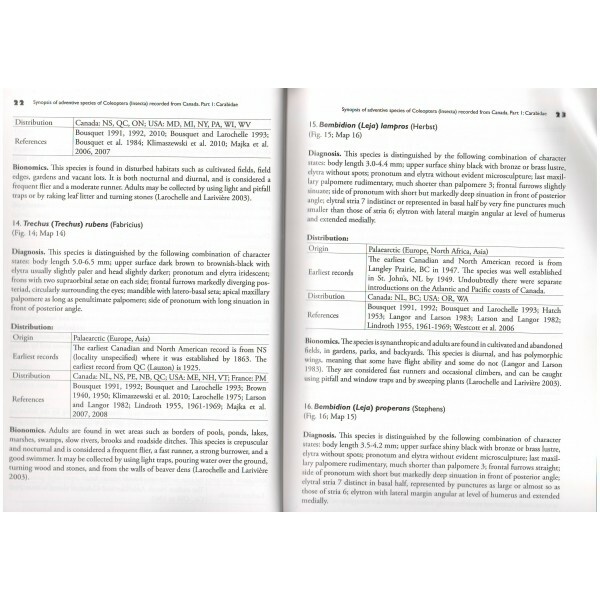 Fifty-five adventive species in 29 genera are presented. 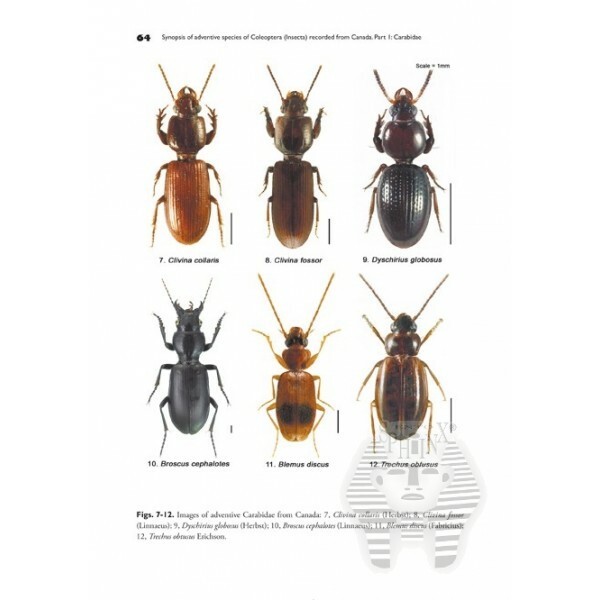 Most species are in genera: Amara (10), Bembidion (7), Harpalus (3), and Pterostichus (3). 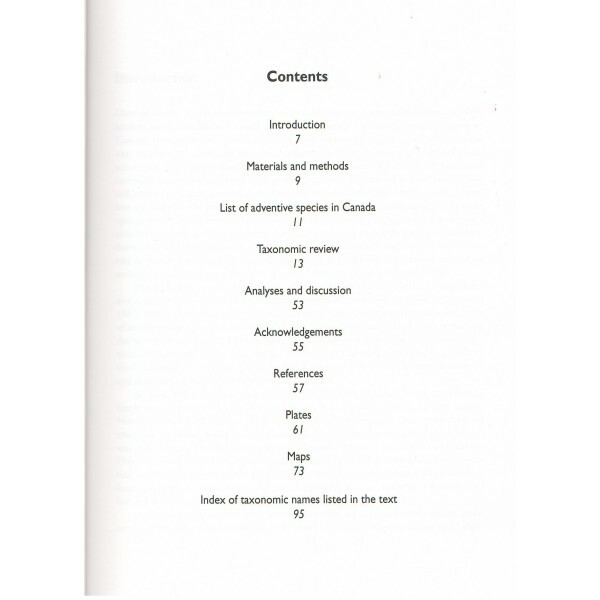 The species are reviewed and their diagnostic features with colour images, distribution and approximate dates of introduction into Canada/North America are provided. 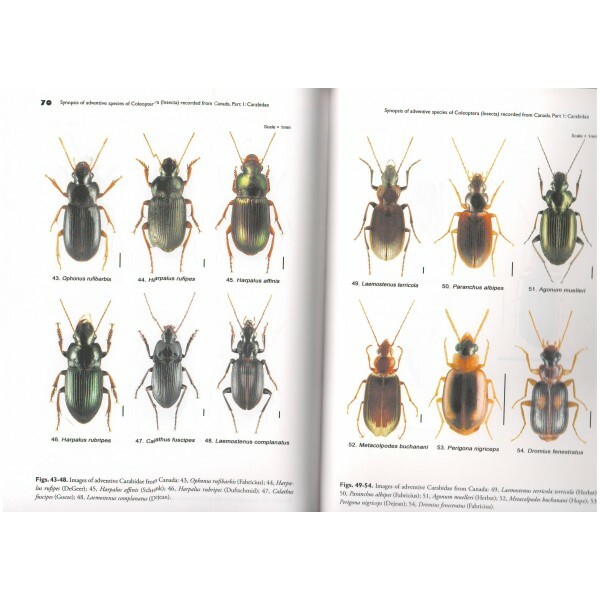 Out of 962 species of ground beetles recognized in Canada, the 55 adventive species constitute 5.7% of the fauna. 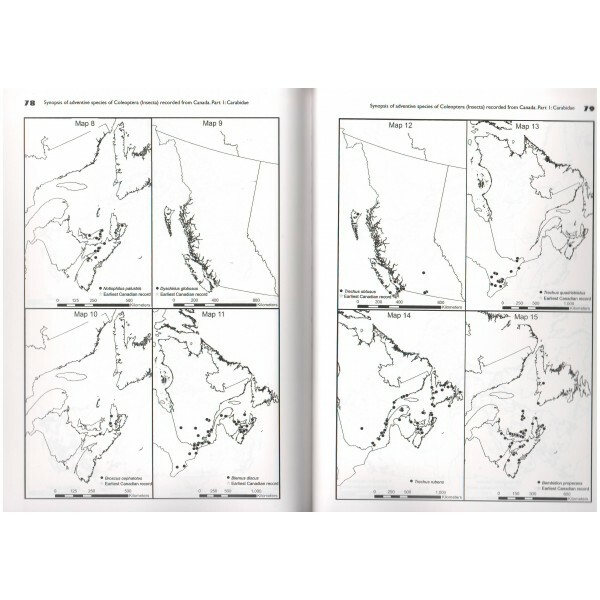 The highest numbers of species is found in the Atlantic Provinces (including the islands of St. Pierre and Miquelon), Quebec and British Columbia. 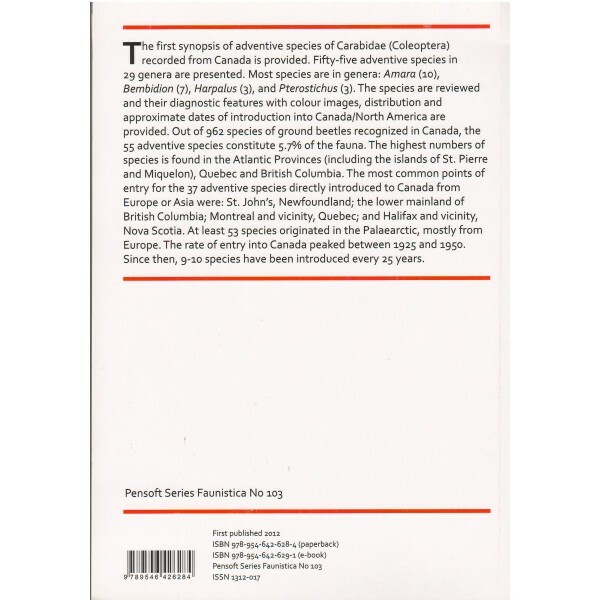 The most common points of entry for the 37 adventive species directly introduced to Canada from Europe or Asia were: St. John’s, Newfoundland; the lower mainland of British Columbia; Montreal and vicinity, Quebec; and Halifax and vicinity, Nova Scotia. At least 53 species originated in the Palaearctic, mostly from Europe. The rate of entry into Canada peaked between 1925 and 1950. Since then, 9-10 species have been introduced every 25 years.